August 2011. Football in Belo Horizonte struggles to keep its track. Cruzeiro were prematurely eliminated from Copa Libertadores, losing to Once Caldas, and Cuca, their manager, was duly sacked. On the other side of the city, the black and white of Atlético Mineiro were trundling their way through hell; the same hell they had experienced over the previous few years, flirting with relegation. Amidst the turmoil of football in the city, few, at that point, could’ve imagined that the deposed Cuca would be the man to bring the good times back. After leaving the blue half of the city, Cuca signed a contract with Atlético with just one mission: avoid relegation. 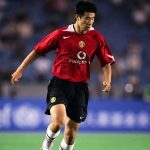 At the time, he had developed a reputation as something of a nearly-man – capable of getting results but only ever lifting minor titles. He needed to write this wrong for the sake of his career at the top. The beginning wasn’t easy. He was rejected by the supporters – deemed by some as a Cruzeiro imposter – and failed in his first six matches, including a defeat in the Clássico against their bitter rivals. The writing was surely on the wall. Against all the odds, however, the tide quickly began to turn. 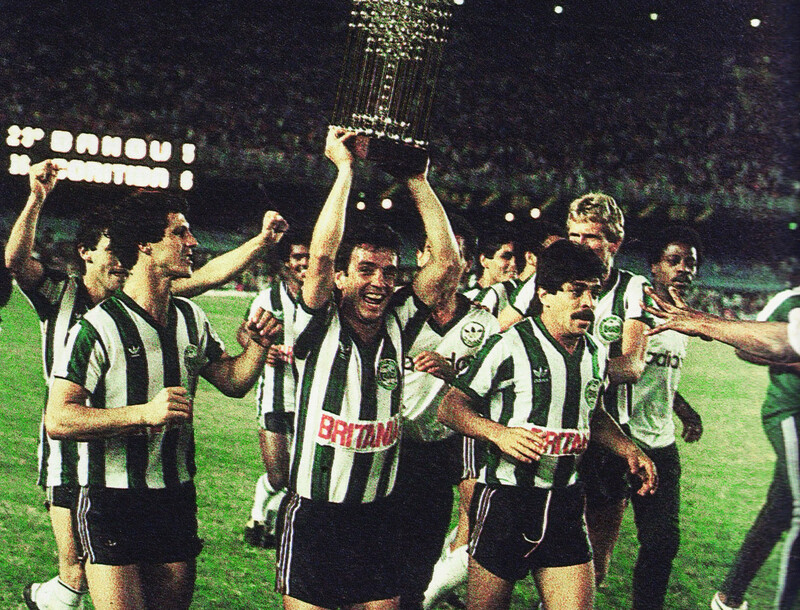 Galo – Atlético’s nickname – remained in the top tier, having accomplished survival without the terror of the final round. Finally, the waters were calm and Cuca could plan to reshape the squad in his image. Then disaster. The final game of the season was yet another Clássico – except this time, it took on another meaning as Galo could’ve consigned Cruzeiro to relegation had they won. Sadly for the black and white, they were thrashed 6-1, both ensuring Cruzeiro’s survival and their own embarrassment. It was a defeat that reignited the calls for Cuca’s relegation. With survival the week before and a bitter the defeat the next, his nearly-man tag was firmly still in place. Against much of the advice his close confidantes and the supporters imparted, Alexandre Kalil, the president of Atlético, still believed in his manager, a trait often missing amongst those in power within club boardrooms. He found Cuca to be an engaging and forward-thinking manager, needing support to turn things around. Despite the president’s confidence, 2012 arrived without much hope, and the new signings lifted few — the club brought the likes of Danilinho, Rafael Marques, Leandro Donizete and Damián Escudero. But, step by step, Cuca began to build a strong bond with his players and the fans. As a result of unity, Atlético won the state championship. Things would also improve in the national championship – the barometer by which all of Brazil’s greats are measured. And it started with a smile. After a brief but underwhelming spell at Flamengo, Ronaldinho joined Atlético Mineiro, his smile beaming from the cheek to cheek at his presentation. His signing, at face value, represented a risk, but the former Barcelona man needed a redemption; a chance to prove some of his doubters wrong. And in Cuca, he found a kindred soul. Atlético also signed the highly-respected goalkeeper Victor, who came from Grêmio and had already earned some caps with Brazil national team, and striker Jô, another figure who needed to put his career back on track. With their three talented but questioned heroes, things quickly improved for the better. In addition to Ronaldinho, Victor was on fire in goal and Leonardo Silva and Réver, the centre-backs known as the Twin Towers, marshalled a defence that was as intelligent as it was rugged. Pierre and Donizete, the defensive midfielders, would leave every drop of sweat on the pitch, sacrificing their own games so the likes of Bernard – one of Brazil’s most promising youngsters at the time, who would later go on to represent the Seleção – could shine. To top it all, even the much-maligned Jô found his mojo in front of goal. And it was all orchestrated by Cuca, the architect, and his foreman, Ronaldinho. A runners-up finish in the Brasileirão meant that Atlético would play in the Copa Libertadores the following year, something they’d waited over a decade for. With that in mind, it was necessary to put the cherry on the cake and complete a squad that could finally challenge for honours. In 2012, the team had trouble finding someone to play on the right wing. Danilinho, Escudero, Serginho and Guilherme had all failed in that regard. The solution presented itself when Kalil announced the signing of the much-loved former hero, Diego Tardelli, fresh from spells in Russia and Qatar. The Brazil international joined Ronaldinho, Jô and Bernard to form one of the continent’s best attacks. The draw Libertadores draw pitted Atlético alongside São Paulo, Arsenal de Sarandí and The Strongest, from the difficult heights of La Paz. It showed how far they had come under Cuca that many tipped Atlético as outsiders for South America’s most coveted crown. On 13 February – Ash Wednesday in Brazil – the first win came at home, 2-1 against São Paulo, with Jô and Réver on the scoresheet. Arsenal were up next in their first away match. Thanks to a Bernard hat-trick, which announced his arrival on the biggest stage, and goals from Jô and Tardelli, the Brazilians beat their Argentine counterparts 5-2 to secure six points from two games. It was the perfect start and instilled a belief in the side that they could compete against anyone. Back in Belo Horizonte, at the Estádio Independência, Atlético hosted The Strongest and won again, 2-1, with Jô continuing his fine form and Ronaldinho capping a superb individual performance by netting too. 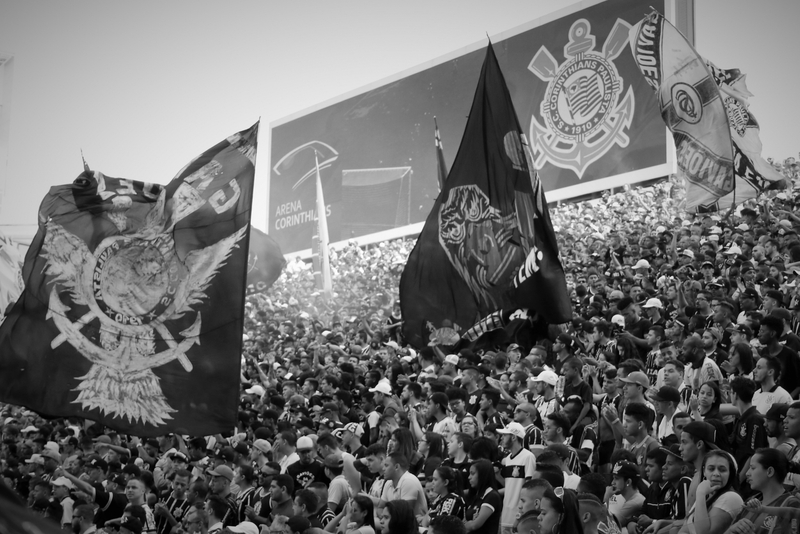 Galo looked almost invincible at home matches, with the fans creating a hostile and raucous atmosphere that quickly turned the Independência into one of the most feared grounds in Brazil. Despite their perfect start, a trip to the lofty perch of La Paz awaited – a game in which the players would need a third lung to compete. Despite the rarefied air, the black and whites conquered another competitor, winning 2-1 and securing their place in the knockout stage of the competition with two matches remaining. After a Ronaldinho-inspired battering of Arsenal – with two magnificent goals for the rejuvenated star – a loss to São Paulo took the gloss off what could’ve been the perfect group stage. But it didn’t matter – the fans were well and truly dreaming by this stage. Remarkably, thanks to a seeding system that decides the next round of matches, Atlético, who qualified as the best team in the group stages, would compete against the side who qualified as the worst – São Paulo. Behind the scenes and in the stands, it was seen as one of the tougher draws, even if the southern side hadn’t been at their best thus far in the tournament. The team travelled to São Paulo and brought back another victory. The former UEFA Cup winner with Shakhtar Donetsk, Jádson, opened the score for the hosts, but veteran centre-back Lúcio was sent off after kicking Bernard. Later Ronaldinho and Tardelli found the net to bring home the win. The second leg proved much easier. This time Jô was hero, scoring a hat-trick in an emphatic 4-1 victory. It sent a message to the rest of the continent that Atlético, blending skill, pace and clinical finishing in attack, meant business. In the quarter-finals, Atlético faced Mexicans Tijuana. The first obstacle was the artificial pitch on which the North American side played. In a tricky encounter against a gritty but gifted Liga MX side, Galo were 2-0 down before salvaging a 2-2 draw thanks to a 90th-minute equaliser. With the return leg locked at 1-1, a result that would’ve seen the Brazilians through, Tijuana were awarded a penalty in the dying moments. Victor brilliantly denied Duvier Riascos with his left foot, the clinical Ecuadorian who had already scored twice in the knockout stages, to keep Atlético’s hopes of glory alive. It had been tight but they’d managed it. Atletico’s reward for the win would be a difficult game against Argentine side Newell’s Old Boys, who played some of the best football in South America at the time, led by the experience of former Liverpool star Maxi Rodríguez and Ignacio Scocco’s goals. In Rosario, in a game that brought many of the high-flying Galo supporters down to earth, Newell’s won 2-0. With two back-up centre-backs in Gilberto Silva and Rafael Marques, the Brazilians couldn’t contain a side that moved the ball at speed and would press with a vigour they had yet to face in the competition. At home, Atlético would need a miracle. The players started brilliantly, with Bernard opening the scoring in the third minute. But the excitement soon turned to tension as the searched resolutely but failed to find that elusive second goal. Suddenly, in one of those moments steeped in legend and controversy, the lights went out at the Independência. When they were finally switched back on, Guilherme, another back-up player, scored with an excellent long-range effort. The match would be decided on the penalties. Step forward, Victor. Even though Jô and Richarlyson missed their attempts, Alecsandro, Guilherme and Ronaldinho scored for the hosts. Scocco and Santiago Vergini’s goals couldn’t see the Argentines to the final as Milton Casco, Paulo Cruzado and Maxi missed their efforts. Atletico Mineiro, a team that had never reached the final of the Copa Libertadores, had made history. They’d face a tricky two-legged final against Olimpia of Paraguay. In Asunción, Atlético were poor, succumbing to a 2-0 defeat as nerves and pressure got the better of the side. It was a disappointing moment as a goal conceded in the 94th minute would make the home leg trickier than needed and change the entire complexion of things. In addition to the loss, Marcos Rocha picked up a suspension. With space for only 23,000 spectators, the Estádio Independência was deemed too small for the second leg of the final and so the game was moved to the redeveloped Mineirão, which was set to host to 2014 World Cup. The tension in the stands was palpable. but nerves were settled when Jô put the home side ahead just after half-time. However, as the minutes passed and the second goal didn’t arrive, the atmosphere became so tense that silence would engulf parts of the Mineirão. Finally, Leonardo Silva, the towering centre-back, equalised the tie with an unforgettable header. Cue a nervy final three minutes and extra-time. With Julio Manzur, one of Olimpia’s defenders, sent off, Bernard, the fit and fast winger, could barely walk anymore. The 30 added minutes were a slog in the purest sense, with the ball often played long, little pressing and unbeatable tension. The black and white half of Belo Horizonte still dreamed, however. Penalties were inevitable – and welcomed. Atlético’s prior experience, as well their inspired custodian Victor, came to the fore once again as Alecsandro, Guilherme, Jô and Leonardo Silva all dispatched their efforts to bring the title home for the very first time. After a 115-year history that had seen some of the game’s greatest players walk through the door at Atletico Mineiro, and countless ups and down, Galo were finally champions of South America. 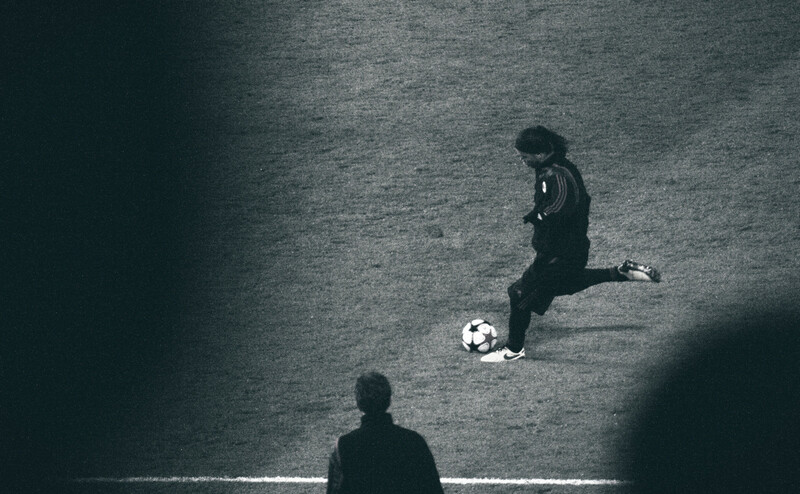 At the same time, Cuca had shed his tag of nearly-man and Ronaldinho had proved that class really is permanent. Alongside their two talismanic figures, Jô and Diego Tardelli had been brilliant, the former proving that he was still the striker many predicted in his early days, and the latter that his love for Atletico could take him beyond the realms of his talents to bring the greatest of glories to the Estádio Independência. But the crucial members were, above all, Kalil, Cuca and Ronaldinho. As the team paraded the trophy, one man cut a joyous, almost overwhelmed figure. That man was Alexandre Kalil. Through his support of Cuca during the toughest of times, and his faith in Ronaldinho, Jo, Victor and Tardelli, his dream of taking Atlético Mineiro from relegation rivals to champions of South America in just two years had come true.